A man from Cork Street who began working as a television extra a year ago celebrated his 90th birthday on the Fair City set this week. Edward Quinn, started working on Fair City through MovieExtras.ie a year ago when his wife, Oonagh, sadly passed away. Someone suggested working as an extra to him, saying it might be a way to keep himself busy and help with the loss. 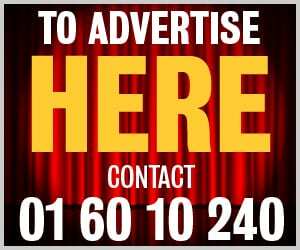 Now, Edward is a regular on the show and has been on set nearly every two weeks, featuring in scenes all over Carrigstown. 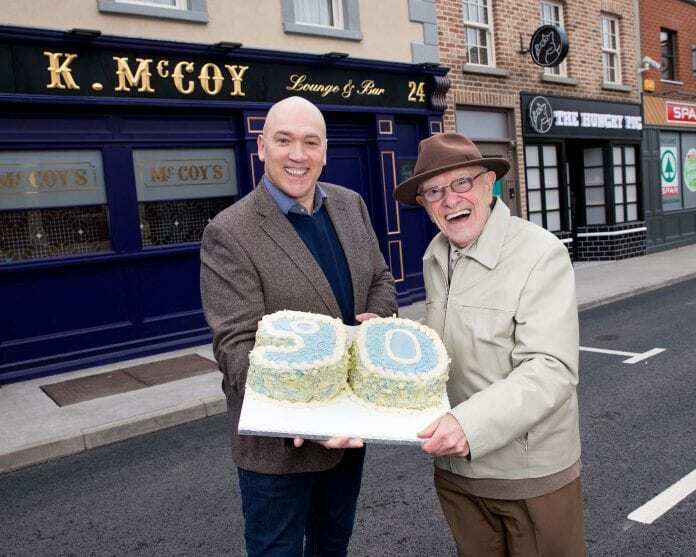 Edward, who grew up on Cork Street and now lives in Goatstown, told Dublin Gazette: “It is fantastic to be involved in Fair City and experience something I have been watching for the last 30 years. “I go to the set every fortnight, and it’s a great day out, if nothing else. You get to see how the set works and I get to meet all the cast who are extremely nice people, I thoroughly enjoy taking part in it. Recently, Edward’s brother Vincent, who is 83, was visiting him from London, and got the opportunity to join him on the Fair City set. Derek said that he will continue to go to the set as long as he is needed, thoroughly enjoying the time that he spends on set and getting to see himself in the background of one of his favourite soaps.